Photograph courtesy of Willian Justen de Vasconcellos, unsplash.com . (APN) ATLANTA — The fourth National Climate Assessment Report, released on November 23, 2018, warns of worsening natural disasters, new food and waterborne diseases, crop production failure, and economic devastation by the end of the century. This is the third in a series of Atlanta Progressive News articles focusing on the crisis facing humanity regarding Mother Earth. Previously, we looked at how other nations are granting legal personhood to Mother Earth and to specific rivers; and at how youth in the United States are bringing a groundbreaking federal lawsuit to force the government to act on climate change. There continues to be scientific consensus that climate change is real and that the burning of fossil fuels is contributing to dangerous levels of carbon dioxide in the atmosphere. The National Climate Assessment Report (NCAR) is a Congressionally-mandated report prepared by some three hundred top scientists from thirteen federal agencies. “The Global Change Research Act of 1990 mandates that the U.S. Global Change Research Program (USGCRP) deliver a report to Congress and the President no less than every four years,” the NCAR website says. The Trump Administration appears to have attempted to hide the latest climate report. President Donald Trump has publicly said he does not believe the report and has said that his gut knows more than the climate scientists. Climate change is already being felt in communities across the country as evident by disasters in 2018, such as Hurricane Florence’s record flooding in North Carolina, category five Hurricane Michael’s destruction in Florida and Georgia, and the deadly wildfire in California that destroyed the City of Paradise and killed over eighty people, with almost one thousand still missing. Hurricane Florence in North Carolina killed 3.4 million chickens and 5,500 pigs and polluted the flood water with animal feces and rotting carcasses. Agricultural damage from Hurricane Michael in Georgia has surpassed 1.2 billion dollars, with cotton and pecan farmers suffering the worst damage. 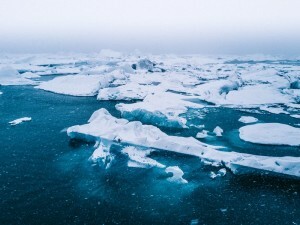 As carbon dioxide increases in the atmosphere, it will causes heating of the planet that results in extreme climate change, further resulting in melting of the Antarctic icecap, rising sea levels, ocean acidification, flooding, more Category Five hurricanes and tornadoes, violent storms with heavy downpours, deadly heat waves, severe droughts causing dangerous wildfires, and new diseases affecting public health. “Extreme weather and climate related impacts on one system can result in increased risks on other critical systems, including water resources, food production and distribution, energy and transportation, infrastructure, public health, international trade and national security,” the report states. Natural disasters since 2015 have cost the U.S. nearly four hundred billion dollars. “Annual losses in some economic sectors are projected to reach hundreds of billions of dollars by the end of the century,” the report says. In Georgia, the 2007 drought cost the agriculture industry 339 million dollars in crop losses, according to www.statesatrisk.org . As Georgia becomes warmer, the State will experience more droughts, resulting in more wildfires; and the coastal areas will experience sea level rising with inland flooding, and more category five hurricanes destroying homes and infrastructure. The report predicts that if the federal government does not take action immediately to reduce greenhouse gas emission, climate change is expected to cause growing losses to infrastructure and property and impede the rate of economic growth in the country. “If we do not change course by 2020, we risk missing the point where we can avoid runaway climate change, with disastrous consequences,” Secretary General of the United Nations Antonio Guterres, said in remarks to the UN and the public in September 2018. Climate change will hurt vulnerable communities and low-income populations the worst. In spite of all this scientific evidence, most Members of U.S. Congress are so indebted to the fossil fuel industry until they appear to be incapable of protecting the environment for future generations. The fossil fuel industry gives millions of dollars each year, mostly to Republicans and “conservative” groups, to influence policy. Politicians are not doing enough, fast enough to stop the increase in carbon dioxide (CO2) concentrations in the atmosphere. Currently, the CO2 levels are 400 parts per million (ppm), or 50 ppm above what is safe and healthy to preserve a livable planet. It is mind blowing that so many politicians, in the face of so much scientific evidence, still continue to deny the reality of climate change. I don’t know what is causing the Global Climate Change, but for sure something is causing it. There is more flooding, fires, droughts, damaged crops than we have heard of. I will be surprised to see these politicians act on anything unless it is money to put in their pockets. Climate change has been happening for the entire 4.5 billion year history of the planet. So ditch that name and use global warming as the scare words to try to set up policies to make the U. S. a third-world nation. The global warming is alleged to happen from increased atmospheric carbon dioxide caused by burning coal, oil, and natural gas. Before the Industrial Revolution (circa 1780) carbon dioxide concentration were thought to be about 280 ppm. From that period until 1950, atmospheric carbon dioxide increased to about 310 ppm. So the increases from that date to 2018 is about 94 ppm which may be due to increased fossil fuel use as the planet becomes more industrialized, wealthy, and increased population longevity. Annual increases are about 2 ppm per year at this time. News you have not seen show global temperatures measured by satellites have decreased each year since 2016. Over the 40-year period of satellite measurements, global temperatures increased to a peak in 1998, decreased for the next decade (this is why global warming name was changed to climate change), then increased to a new peak in 2016, and then decreased in successive years of 2017 and 2018. Tides and Currents data show ocean have increased on average about 0.08 inches per year without acceleration for over 100 years. Hurricane activity is no more frequent than before 1950 (The East Coast went from 2005 until 2017 without any hurricanes.) Heavy rain and drought occurred before and after 1950 which indicates no carbon dioxide increase effects. Remember the 1930s dust bowl? Decreasing fossil fuel use with the carbon tax, as done in France, will accomplish nothing but make life worse for middle class and poorer with higher fuel, electricity, and heating costs. Note the riots in France because of financial suffering form taxes that accomplish nothing but make people suffer. along with a real understanding of antediluvian flooding & ice ages as shown in the geologic records. dispose of nuclear waste would also be helpful.